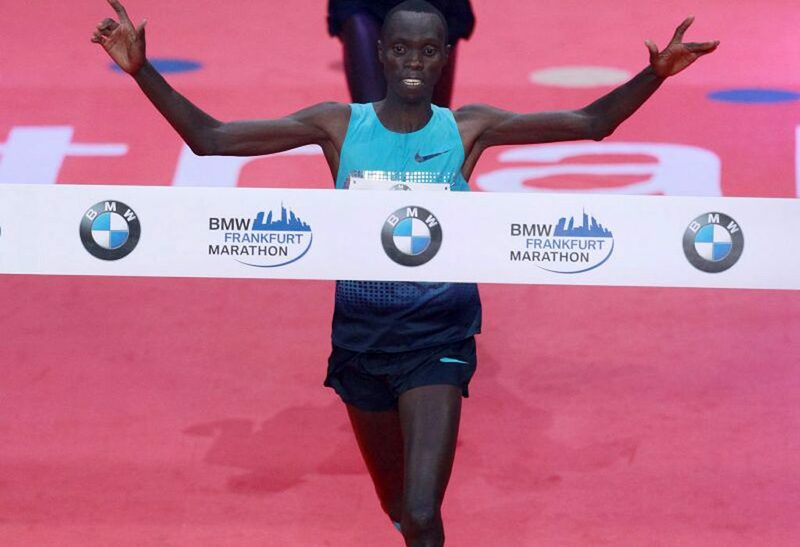 Defending champion Vincent Kipruto from Kenya will return to the BMW Frankfurt Marathon on October 26, 2014. The 27 year-old braved stormy conditions a year ago and still clocked a time of 2:06:15. However he will have to overcome a strong challenge from Ethiopia if he wants to have a chance of taking a second consecutive victory in Germany’s financial capital of Frankfurt, as organisers announced earlier the field will include marathon shooting star Tsegaye Mekonnen and Getu Feleke. Around 15,000 runners are expected to take part in the 33rd edition of the BMW Frankfurt Marathon with online race entry still available. The event is an IAAF Gold Label Road Race and offers one of the most distinctive finishes anywhere in the world, as the runners head for the finish line inside Frankfurt’s Festhalle. Last year the last 100 metres or so was the only section of the course where the runners could shelter from the wind. The weather was a big blow for the elite runners, who were orginally targeting a 2:04 time. “I will come back to Frankfurt next year to achieve my goal and run a personal best,” said Vincent Kipruto after his victory. He kept his promise and with hopefully far better conditions will attack his PB of 2:05:13 on 26th October. The man who surprisingly chased Kipruto right to the line in Frankfurt’s Festhalle last year will also come back. At the age of 37 Mark Kiptoo clocked a PB of 2:06:16 in 2013 and finished just a second behind Kipruto. Another sub 2:07 runner showed that he is back to his best this spring: Gilbert Yegon. Winning the Duesseldorf Marathon in driving rain he missed the course record by just 18 seconds with 2:08:07. Back in 2009 Yegon won his marathon debut in Amsterdam in 2:06:18 but it was not till Duesseldorf this spring that he was able to produce a similar marathon performance again. “I wanted to run 2:06, but it was not possible in these conditions. I will try again in the autumn,” he said. 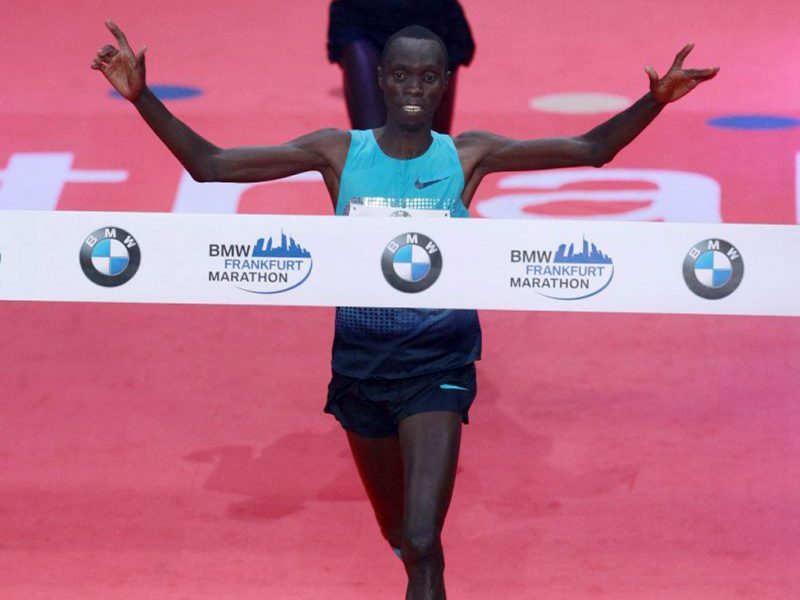 Now he chose the BMW Frankfurt Marathon as his next major race. Adding Ethiopian stars Tsegaye Mekonnen, the winner of the Dubai Marathon in January with an unofficial world junior record of 2:04:32, and Getu Feleke, who smashed the Vienna course record this spring in 2:05:41 and has a PB of 2:04:50, there are five runners on the start list who feature sub 2:07 times. Meanwhile Francis Bowen, who will turn 41 next week, intends to attack the world master record which stands at 2:08:46. Mexico’s Andres Espinosa ran this time in Berlin in 2003. Bowen has a PB of 2:08:01. Last year the Kenyan missed the record by only seven seconds when he was third in Chunchon (Korea) with 2:08:53. A couple of debutants want to use the fast Frankfurt course for a fine start of their marathon careers. Among them are Daniel Wanjiru of Kenya – no relation to the late, great Sammy Wanjiru, the 2008 Olympic Marathon champion - who was third in the Prague Half Marathon in April with 59:58 and Ethiopia’s Adugna Takele. He placed ninth in the World Half Marathon Championships this spring in 60:14. National interest in the men’s race will focus on Arne Gabius. After running a fine half marathon debut in New York this March where he took 8th place with 62:09, Gabius is confident for his marathon debut. The German is aiming for a time towards 2:10.